After much catching up my friend Kate played tour guide and what a great job she did. Kate lives in one of the more upmarket areas of Hanoi, however, what I love about the area is that it is still filled with locals going about their everyday business: men sitting on miniature plastic stools outside cafe huts playing board games; little old ladies gossiping on the steps of a building; people pushing carts of clothes and drinks and food through the streets to sell. 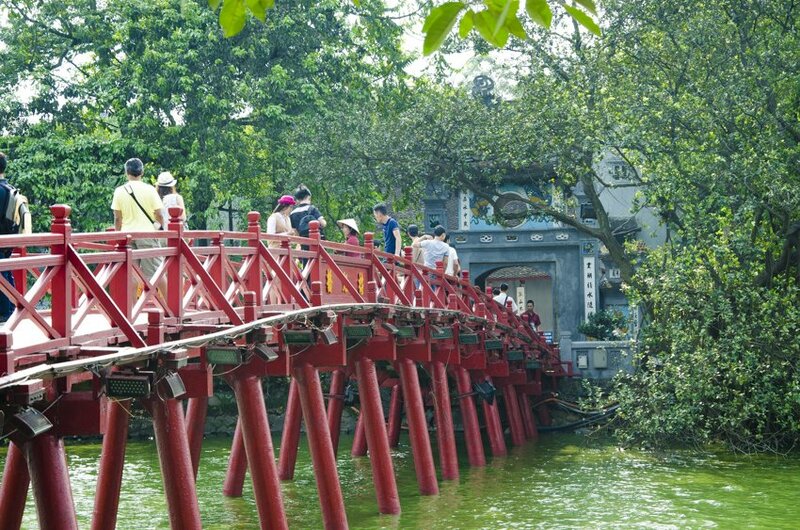 We went into the old quarter of Hanoi and took a one hour cyclo tour. Hanoi assaults all of your senses at once, it is a sensory overload. You don’t know which way to look as there is beautiful french architecture, people selling all sorts of things at the street stalls, horns beeping for what sometimes seems no apparent reason but is to actually let others know they are coming through. Whether you are driving, riding or walking the streets of Hanoi it is not for the faint hearted. To put it simply, the traffic is organised chaos. I got worried when even our cyclo driver said a “whoa” or two. The first time Kate and I had to cross the street filled with oncoming traffic from all directions I made her hold my hand. The second time we had to do it she made me go alone and now I do not hesitate and hope for the best! 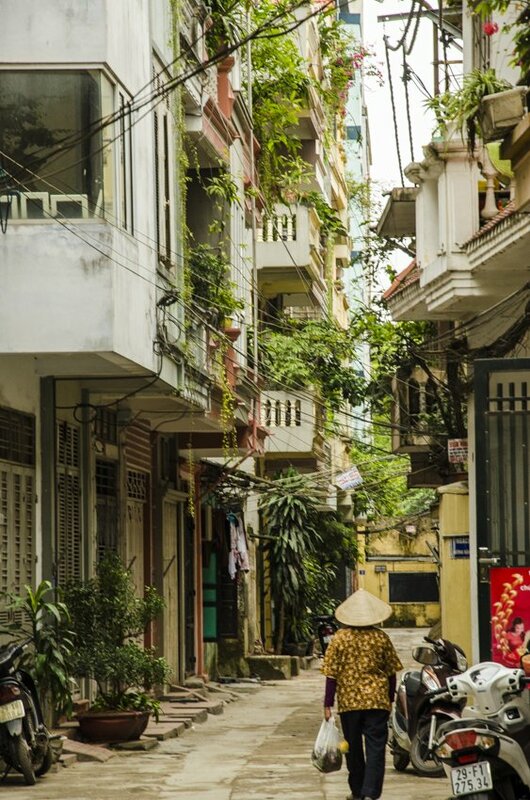 Everything about Hanoi is fascinating, from the history, the people, the food, the shops, it’s never ending. In the old quarter it really is quite funny how there is a particular type of item sold in each street, for example, toy street, shoe street, silk street to name a few. It really all is very good value for money compared to western prices. On my second day there I was left to my own devices as Kate had to work so I decided to go back to the city and explore on my own. It is inevitable that you will get lost in the labyrinth of streets, even with a map. After a couple of hours trying to follow the Lonely Planet walking tour I gave up and finally made it out alive. I will be back in Hanoi at the end of my trip and hope to tick a few more must do items off the list.